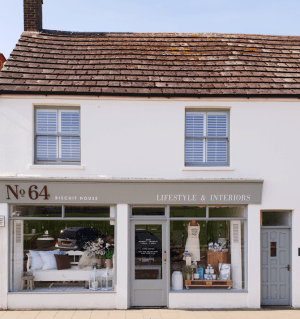 Set in the beautiful seaside village of Milford-on-Sea, No64 Biscuit House is more than just a homeware store, it’s a unique lifestyle choice with exclusive, one off ranges to embellish only the most stylish of homes. We spoke to Glenn and Clare, the creative forces behind the bespoke boutique. When you took over your current premises back in 2016 you underwent a huge refurbishment project to create what is now No64 Biscuit House. But what is No64 Biscuit House and where did you channel your inspiration from to manifest the final result? 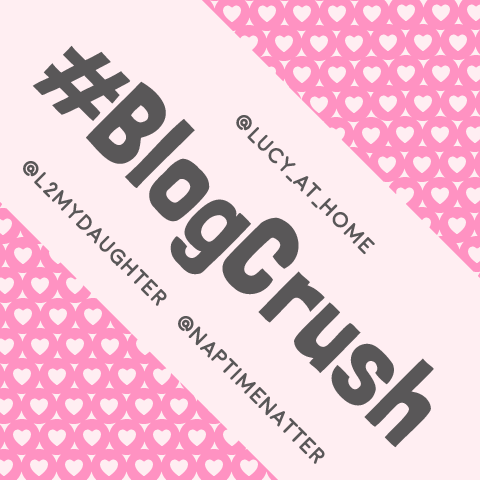 No64 Biscuit House has always been my dream! From styling my bedroom when I was a child, through my entire thirty-year commercial photographic styling career, I always wanted to have my own interiors shop. In 2014 Glenn had sold his business and, while he was looking for his next project, we decided to set something up together, something which could grow at a rate we could control, as neither one of us knew what our futures held at that time. We both love property, I’ve spent my life working in location properties all over the world and Glenn has been buying and selling property since he was twenty-one. So, for us it was just logical to start a property styling project if only to see what would happen. One fact I love about No64 Biscuit House, is the name we gave to the shop, as it incorporates our registered name and the number of the street. The story behind the name ‘Biscuit House’ is quite silly really. We couldn’t think of a name, but we knew we wanted it to reflect something to do with the property; one day we were in the kitchen, Glenn looked at this vintage biscuit jar I’d bought and just said ‘The Biscuit House’? And that’s it I’m afraid. My father, who sadly and suddenly passed away (before we began our project) always knew it was my passion to open a shop. A few years before I took the plunge we actually found an interior/lifestyle shop together that was for sale as a business and seriously contemplated buying it but decided it wasn’t in the right area. He always said if I was to do it, it needed to be before I turned 50 (I’m hanging on in there by the skin of my teeth!) and that it should have an online shop. I really hope he would be proud of our achievements. What were some of your favourite and most challenging aspects of this project? I was so excited that my dream had come true; I was going to open my very own Lifestyle, interiors shop, where I could show the world my style and styling experience by sharing my knowledge with our customers. However, I think my most favourite part of the project has to be receiving our first order, a number of pallets from Danish brand Lene Bjerre, and starting to unpack them and style the shop for the very first time. Something that amuses me even now is that I actually kept that very first pallet we unloaded from our first stock delivery. I sanded it down, added chunky casters to it, and now use it for display in the shop. I’ve had so many offers to buy it but it’s now sentimental! The most challenging aspect, aside from the inevitable issues you get with a 9-month complete renovation project (which included a total strip-out, two extensions, and unexpected interest from the district council…we’re not listed but we are on a site of archaeological interest), was simply retail knowledge. 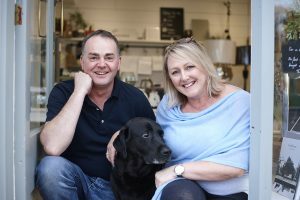 Glenn and I had never been involved in retail, we simply took the plunge believing the combination of my creativity and his business acumen would see us through. With a lot of designers looking over to California in the States for style influence, you’ve broken the norm and placed your focus in the completely opposite direction. What would you say is the biggest draw towards Euro/Nordic style and designers? It was essential to source items that were different and unique. The Scandinavian style is so calming, elegant and generally has such a lovely style. I’d never rule out other styles as we evolve. Watch this space! Who are your favourite brands and stylists, is there anyone that budding designers should look out for or follow? I’ve always loved Terence Conran’s style and used to regularly visit Habitat, in its day. From working on a location property that was designed by Jill Stein I became totally in awe of her style, it was so me! Paulina Arcklin has also been someone I’ve followed for quite some time. I love the simplicity of her colour pallet, adding interest with unique items in her props. 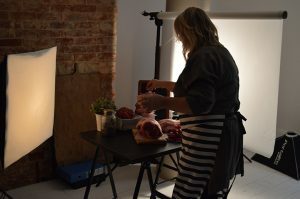 Working as a stylist in commercial photography we followed many food stylists and photographers, with Donna Hay being a firm favourite of mine, although more recently my admiration for Rocket St. George has grown too. As a blogger I constantly strive to get that perfect visual post, but I think most people trying to generate good photographic content would say the hardest task is to get good interior shots! With over 30 years as an interior and photographic stylist what are your top 3 tips to capturing that on point indoor shot? Looking through/from the lens is law! I was always taught by my father that to create a great image is to be able to weave through the shot with your eye. Make sure you don’t have any massive holes in the foreground. I worked with film and Polaroid for many years so I learnt the hard way, to check your finished shot thoroughly. Make sure nothing is out of place, been left in mistake or sitting uncomfortably with the rest of the room. Design and in particular style installation has really picked up in recent years with a lot of young artists flooding the market, desperate to influence the digital world. Your body of work has such a calming influence in its style and yet continues to be progressive, how do you manage to stay so relevant? I spend my life looking at styles and fashions. Everywhere I go or travel, every minute of the day I’m researching new looks, homes and styles. A trip to Liberty and I suddenly want the whole house in vibrant colour! Even I can get confused with it sometimes. That said I do have a signature style that I naturally drift to which is very neutral shades but adding textures in my accessories. It’s the styling of the bits and bobs I love doing. What determined your passion for design and can you remember the moment when you decided that this was the dream you wanted to follow? It’s just always (since childhood) felt normal/natural to me to be styling my room, even with Lego bricks I used to make houses! I think I first realised when I was assistant stylist on large room sets. I was in awe at what was created and wanted to try it for myself. My dream really has always been to ‘create’. I’ve made mistakes along the way but that’s the only way to learn. Having been there, done that, bought the t-shirt (and the house), what key advice would you gift to anyone just starting out? As a home owner live in your house for a while initially. Build a mood board of what you’d like to achieve. Start with a neutral pallet on the walls. Don’t over clutter and look for unique pieces. It could be from a junk shop, a market or in a Harrods sale! That to me is the fun bit; sourcing items. As a photographic stylist. Build a set, bit by bit. Adding as you see it working. If it doesn’t look right take it out! Don’t just throw it all in. Create it gradually. As well as your beautiful designer boutique, your home has also been featured in a plethora or glossy style magazines. With your work and home being two of the same, does this cause any creative conflict for you, especially with re-styling and photoshoots. Is there an element of unchanging identity that you try to maintain in every shot or staging? In my home I have many more vintage and eclectic pieces, items I’ve collected on my travels. These items, which could be as simple as feathers I’ve found or stones with holes in that I’ve strung together. 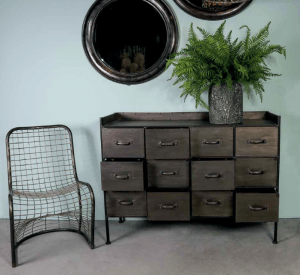 They, add depth to interesting furniture pieces, making the whole look feel so special. Even bits that friends and family have just seen as rusty metal look fabulous once displayed simply on a shelf. But what runs through everything I do are the clean lines, lots of white or neutral colours. For me a design doesn’t have to be expensive, it can be as simple as you adding a zing of fresh green branch from the garden to achieve a striking look. For anyone wanting to continually refresh or update various looks within their home, what key pieces would you suggest they invest in? Don’t be frightened to buy one unique item that you really love, whether it be a chair, a vintage item, or a piece of art. Invest in it and then accessorise around it. After that maybe a really nice chunky glass vase, big enough to make a statement, and add freshly cut greenery form the garden. Having regularly mooched through your online offerings, the Biscuit House is like an Aladdin’s cave of exquisite gifts and one off bespoke pieces, what’s your current product ‘de jour’ that you are totally in love with? We’ve just been awarded UK stockist status for a new brand Danish called FUHR Home, owned by talented Aarhus-based designer Anders Fuhr. 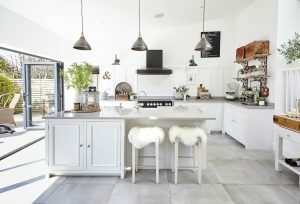 As a brand they kind-of found us as their UK agent happens to be the same agent for No64’s Swedish sheepskin & wool brand Shepherd, and she was very excited about showing us FUHR Home. 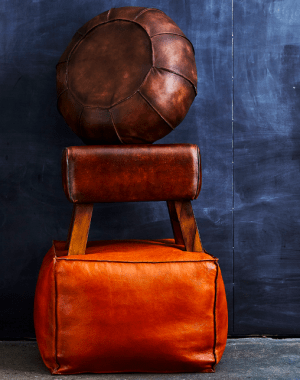 The FUHR brand is described as Raw Nordic, it’s handmade and fabulously designed furniture and homewares all made from sustainable materials. It’s wonderfully funky and really unique, something we strive to find & stock for our loyal customers. 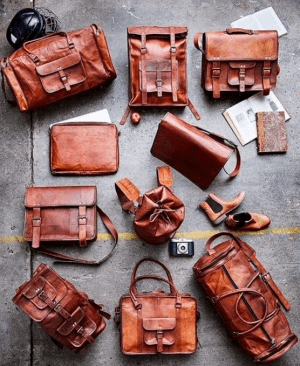 In particular I’d have to single out this leather bag range, they’re just beautiful, and when I compare them to similar styles from other brands they’re incredibly good value! With just the one physical boutique you’re very active online. So, where can our readers find you to follow your work? One physical boutique… so far. We’ve only been open for just over a year and we have expansion plans all set for 2018! We’re very active on social media, Instagram specifically as it’s a very image driven platform, we also publish our Blog updates both via the website and @No64BH on Twitter. If you’ve liked what you’ve seen so far, why not shop the look! Clare can also be found on Facebook and in her artist hub, carving out regular new mood boards via Pinterest. Thank you! I had a lot of fun writing it! Yes it’s a beautiful store and Clare is an amazing talent! You should check out their latest range of outdoor summer pieces; absolutely to die for! Are they a franchise, do they have any stores in the Midlands? We really need something like this where I live! All we have is Ikea and The Range-so boring!!!! No, they’re not a franchise. 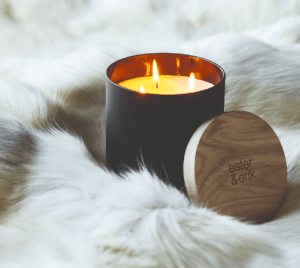 They’ve just one physical store at the moment, but looking to expend they also have a fantastic online store and blog you should check out- everything is listed in the article. Definitely do! They’ve so many perfectly on point bespoke pieces!